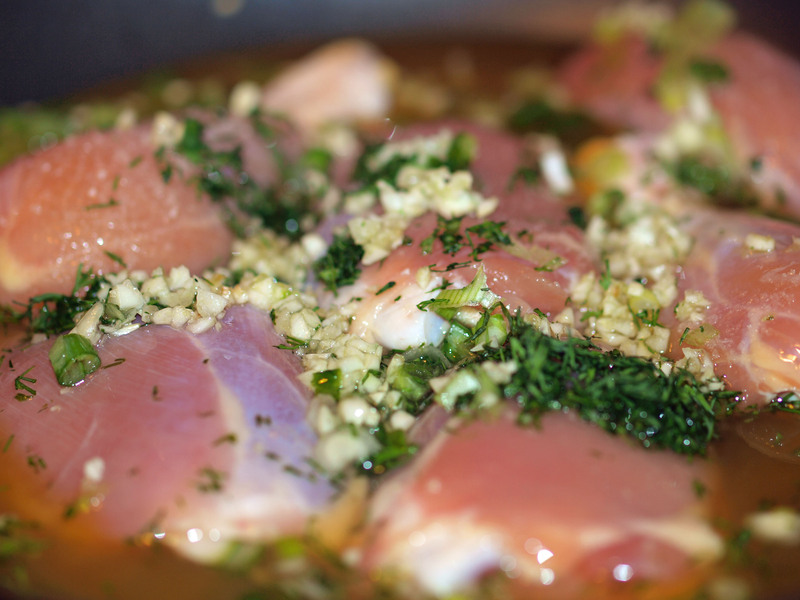 Place chicken in a low, wide saucepan which may be covered. Add scallions, garlic, dill, chicken stock, and white wine. Bring to boil over high heat. Lower heat and simmer chicken 20 minutes or until cooked through. Remove chicken pieces from liquid. Optional: place in baking pan in 300 degree oven while preparing the sauce. Skim off fat from liquid in pot. Reduce the liquid over high heat by half. Stir in paprika and tomato puree. 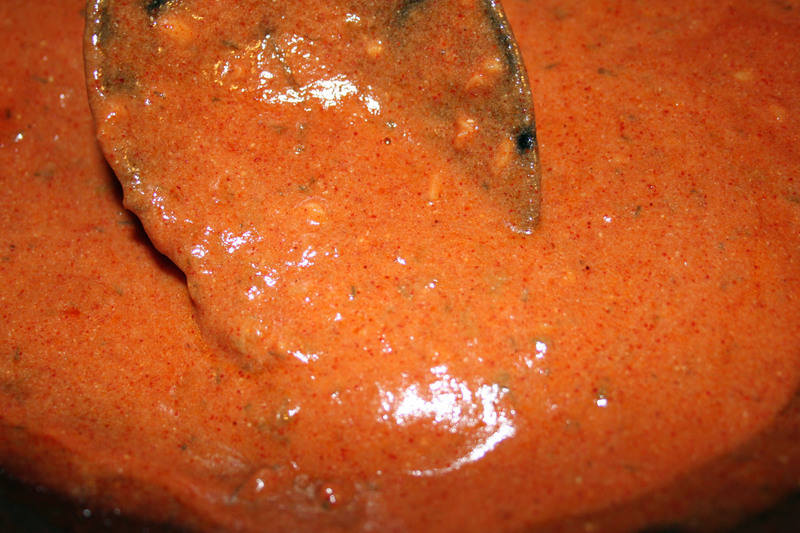 If sauce is very thin, continue to cook it down until it thickens slightly. Remove sauce from stove and stir in sour cream. 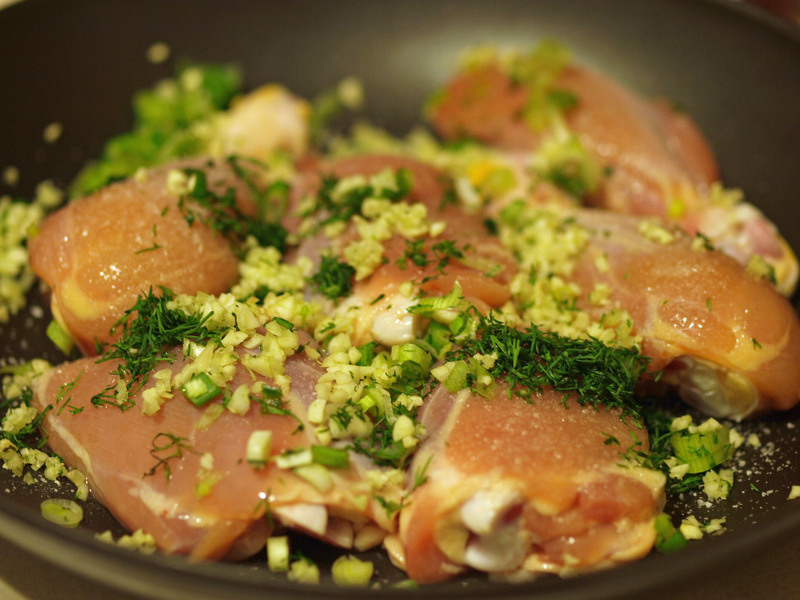 Sprinkle with any leftover dill and serve. 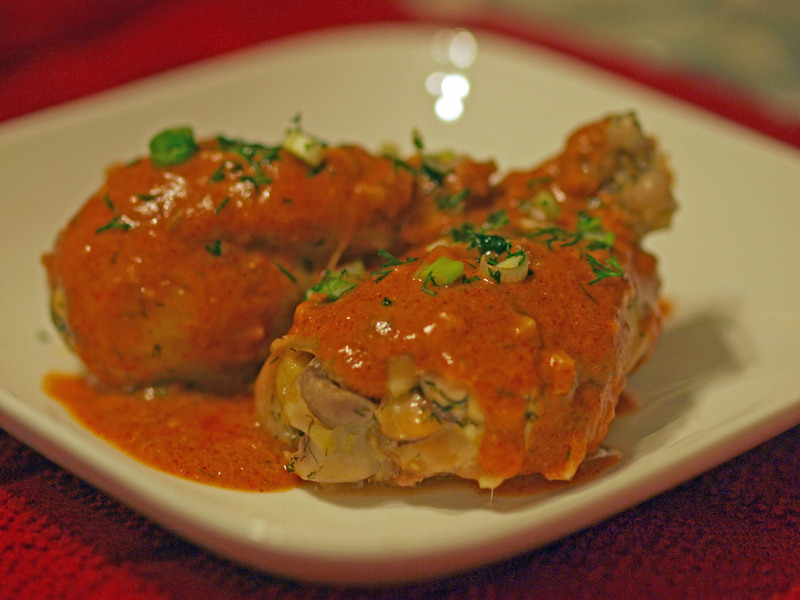 I love that you have dill in this, what a great contrast to the paprika! Can’t wait to try it. Dear Megan, thanks for linking me, and giving me the opportunity to see your lovely blog. I did link you to an other site, about goulash, but with paprikash too. I will come back to your blog, i love your recipes and your wonderful photos.